According to the Washington Post’s Fareed Zakaria, in order to understand how traditionally secular Muslim countries became hubs of radicalisation in recent years, you need just one example – Saudi Arabia. As The Week explained two years ago, Saudi Arabia has spent billions of dollars “investing heavily in building mosques, madrasas, schools, and Sunni cultural centres across the Muslim world. Indian intelligence says that in India alone, from 2011 to 2013, some 25,000 Saudi clerics arrived bearing more than $250 million (≈ cost of Airbus A380, the largest passenger airplane) to build mosques and universities and hold seminars”. The Week made it quite clear that these “institutions and clerics preach the specifically Saudi version of Islam, the extreme fundamentalist strain known as Wahhabism or Salafism”. This isn’t just some unfriendly version of Islam that may or may not be linked to terror attacks aimed at western countries – this is the same standard of Islam that the Islamic State (IS) and al Qaeda adhere to. Remember this next time a Donald Trump supporter accuses you of being an “apologist for Islam”, while their leader sells these puritanical extremists more arms than they can afford to buy in the first place. Not to mention that since early 2015, Saudi Arabia has been locked in a brutal quagmire in neighbouring Yemen, engaging in war crimes and using banned munitions. Despite Saudi Arabia’s documented behaviour, everything that moves right now in the Middle East is somehow purported to be due to Iran’s “malignant” activities. A missile that was launched into Saudi Arabia’s capital city, which may or may not have been intercepted, was immediately, and baselessly, blamed on Iran. Saudi Arabia has even called the event an act of war (initiated by Iran). The meltdown of Lebanon’s internal politics has also been blamed on Iran, yet Saudi Arabia is clearly the one trying to pull the strings to create internal strife in the country. In actuality, the available evidence that has come to light in recent weeks is that it was Saudi Arabia that actively coordinated an act of aggression on the sovereign nation of Syria in 2013. It has also come to light that a leaked cable, written in Hebrew, allegedly shows Saudi-Israeli collusion to provoke a war with Lebanon. It should be noted that the mainstream media, and the governments that run in tandem with the media, have paid close to zero attention to this, despite how damning the conclusion is. So what can one make of what is happening directly inside Saudi Arabia, even as we speak? One can only describe the recent developments as a crackdown that makes Bashar al Assad’s pale in comparison, given that very senior and royal Saudi figures have already been killed and arrested in just over one weekend of action. 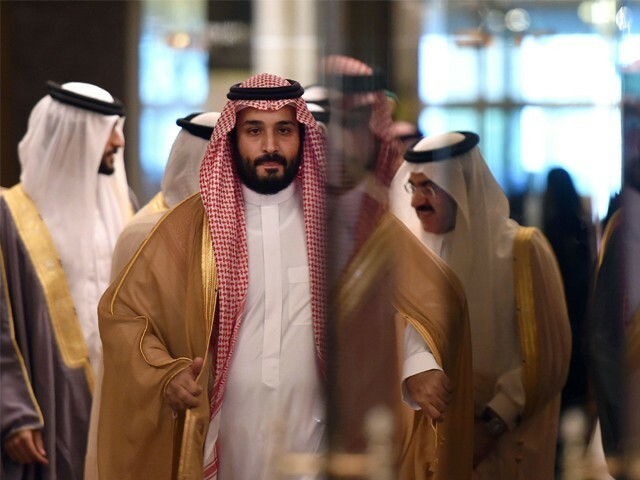 The media has advanced that this is merely a crackdown by a reformist leader in the hopes of putting Saudi Arabia on a path to modernity and creating some domestic social and economic reforms. No one will be willing to admit it, but the House of Saud is in trouble. Don’t listen to The Guardian as it tries to James Bond-up Saudi Arabia’s crown prince with ludicrous titles such as “Saudi arrests show crown prince is a risk-taker with a zeal for reform”. Saudi Arabia’s chickens are coming home to roost. The extremist nation should know this more than anyone, considering they have tried their hand at overthrowing multiple governments in the region. Once a crackdown as blatant as this one begins, there will be no turning back for the Islamic Kingdom. While some may celebrate the fall of Saudi Arabia, the downside is that desperate times will undoubtedly call for desperate measures, in the face of the Kingdom’s dying status as a regional player. The only viable option to maintain the illusion of domestic strength and international prowess is to find a scapegoat, and the Saudis have had the perfect scapegoat for years. Even as we speak, the war rhetoric targeting the Iranian government and its allies is beating louder, as it becomes clear that the oil-rich nation may have no other way of distracting from its own inner turmoil than to launch further aggression against Iran. It is already somewhat evident that Trump has given his full support for this to happen — and that Trump’s sword-dancing meeting with Saudi Arabia earlier this year set the scene for something far more sinister than we could have ever predicted. airplane) to build mosques and universities and hold seminars”. The author gives the impression of being a naive indivdual who believes in hearsays without having analysed the background of the house of saud and their religious mission. Call them wahabis or salafists if one may, they are not extremists but the believers of sunna Islam also known as people of AlHadij. They are indeed fundamentalists and why should’nt they be considering that they are the caretakers of the Islam holiest cities where muslims from around the globe come to perform a Haj ritual once in life time as ordained by the almighty God. The Saudi family does not invest in building mosques around the world but in industrial stocks as all rich capitlists do. They do pay to build mosques and madraasas and schools in developing countries from the charity funds which is somewhat similar to the Vatican building churches. rise in oil prices and the impact this will have in helping the Prince in his designs. Also you have come to the conclusion that the KSA is drowning and is desperately slutching at a straw to stay afloat…..and I feel this is rather extreme. The Prince has started interelite conflict. He also appears to be quite clueless about what Saudi Arabia can do since a major factor is its poor education system. And the prince pro-moderate stance is belied by his not curbing this. Oil prices can only rise is lots of cuts because developed countries are aging. So need for oil will decline. For instance in US 57 is most common age of Boomers. than we could have ever predicted. Saudi Arabia does not require American support for its posture in foreign sphere, on the contrary Donald Trump though known for his narcismic ego is also a student of kabbala and fully aware of varied powerful forces in the world which took him to Saudi Arabia, and participate in saudi powerful sword dancing. This was then followed by his visit to the emerging world super power. I will not dispute authors prognosis for sinister times in the middle east though for various other factors. In Germany, Switzerland and Austria, no Saudi financed mosques are allowed. Islam. They still do, in other countries. Only a fool would compare Vatican’s church building with Saudis mosques. The point is simple, Saudi Arabia is a regional super power which never used its money,power and influence. Now, however, Saudi Arabia has realized that it needs to evolve to survive and they have every means at their disposal. they are amongst the wealthiest nations on earth which enjoys extraordinary influence on the region (and globally on Muslim countries) and very close ties with the US. Compared to a modern, fast becoming a progressive, Vatican. Vatican is neither modern nor progressive Sir, though admittedly the current Pope is a jesuit and is keen to implement reforms including the end of debauchry among the priests and givng women the status of priesthood. He recently proposed that the church consider the elimnation of capitl punishment as well which is the hall mark of the European Union. Iam not defending the denial of human rights in Saudi Arabia but simply said that Saudi family is known for giving charities to the poor muslim majority countries in support of building mosques and madarassas providing basic education. What the European Governments are undertaken against foreign financed institutions who are preaching radicalism is the step in the right direction as Islam becomes the integral part of its citizens religions. The religion of Islam is now being taught in Germany by those who are qualified from local universities. Not to ignore that mosques in Germany are subsidised by the Government. An Iranian writing about Saudi Arabia, hardly credible. Both Saudia and Iran are guilty of exporting their brand of extremism all over Muslim world, and fighting proxy wars. In case of Iran, it is even enshrined in their constitution. Iran finds it fair to go to help UN recognised government in Syria, which happened to be a dictatorship. According to estimates, Iran spent over 100 billion in supporting Syrian dictator. And it is not called an “Invasion” by Iran. However when Saudis go in Yemen to assist a UN recognised government, which happens not to be a dictatorship, against rebels and terrorists, Iran and its paid “journalists” quickly label it an “invasion”. Let me be very clear, Houthis have no means or expertise to launch 800 km range missile. It is indeed Iran which supplied hardware and technicians to launch the attack. In case of Lebanon, both Iran and Saudis and playing their game, as they are doing in rest of Islamic world. Out of 20 large and small political parties in current Lebanese parliament, only one political party has a private army (Hezbollah) which is more loyal to Iran then Lebanon. Hezbollah only hold 11 out of 128 seats in current parliament. Amal movement, is other main Shia party in the parliamen, and it has 13 seats. Which proves that Hezbollah is not even the favourite party among Shia of Lebanon. After Lebanese civil war, all other militias melted away or were absorbed in Lebanese army. Hezbollah has refused to be part of Lebanese army, and report to central government. Instead it reports to Iran. A struggling democracy cannot function when one party has a armed wing, loyal to a different country. You can blame Iran and Hezbollah, more than Saudis for Lebanon crisis. Extremely lame explanation and heavily biased article. Iran is a problem in all the issues currently on going in ME whether it’s Bahrain, Qatar, Lebanon, Syria, Iraq and Yemen. Peninsula are monarchies. Not democracies. And are ruled by an Iron Hand. oil prices could sink, as well. next year, two years, three years. For your info. sir Saudi Arabia has also the richest mineral reserves in the world including gold and uranium under their sands. The only country in the world which receives direct cosmic energy. Once in their life time muslims are required to visit the land for Hajj primarily to refuel the cosmic energy. They were all stolen unfortunately by the asylum seekers from the west in midde ages. Each of the Prince and princes though has a room made of gold which treasures their wealth. They wll I was told when the black tar runs out which in my opinion will never cease because of the constant cosmic rays n the Peninsula.